BBC UK – Surrey bowlers Matthew Dunn and Freddie van den Bergh have extended their deals with the Division One leaders. 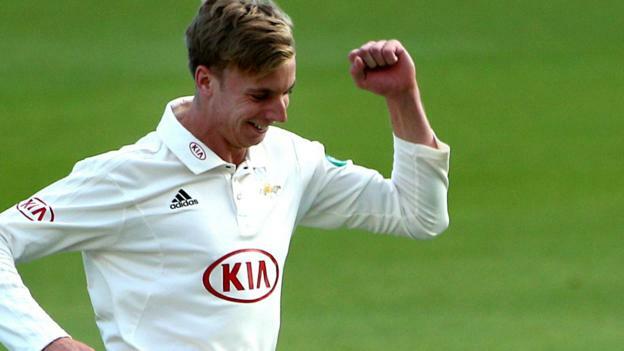 Surrey bowlers Matthew Dunn and Freddie van den Bergh have extended their deals with the Division One leaders. Pace bowler Dunn’s contract will now run until the end of the 2020 season, while spinner van den Bergh will remain at The Oval for next season. “I look forward to watching them develop and contribute,” Surrey director of cricket Alec Stewart told the club website. Which Aussie batsmen are waiting in the wings?